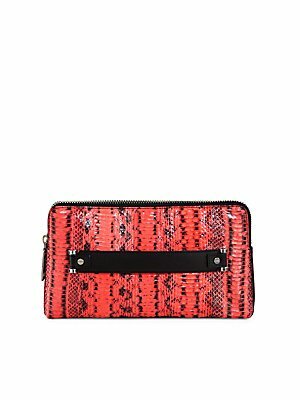 MILLY Mercer Snakeskin Clutch | Accessorising - Brand Name / Designer Handbags For Carry & Wear... Share If You Care! Rich leather trim pairs perfectly with luxurious snakeskin in this bright-hued silhouette. 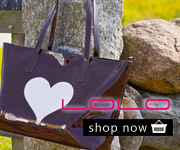 Clutch in watersnake with flat leather side-handle. Back embossed logo. Custom silver hardware. Top zip closure with oversize zipper pull. Satin lining. Inside, two open pockets. 6.75″H x 12″W x 1.5″D.